Cate and I started doing something fun yesterday. 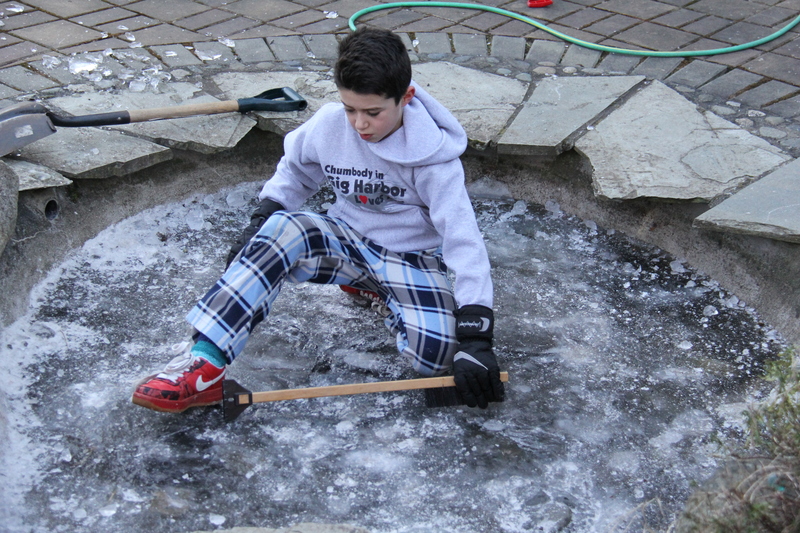 We go outside where our pond is frozen and we bring lots and lots of tools to help us make an ice rink. It is so strong that we can walk on it and skate on it with our feet. 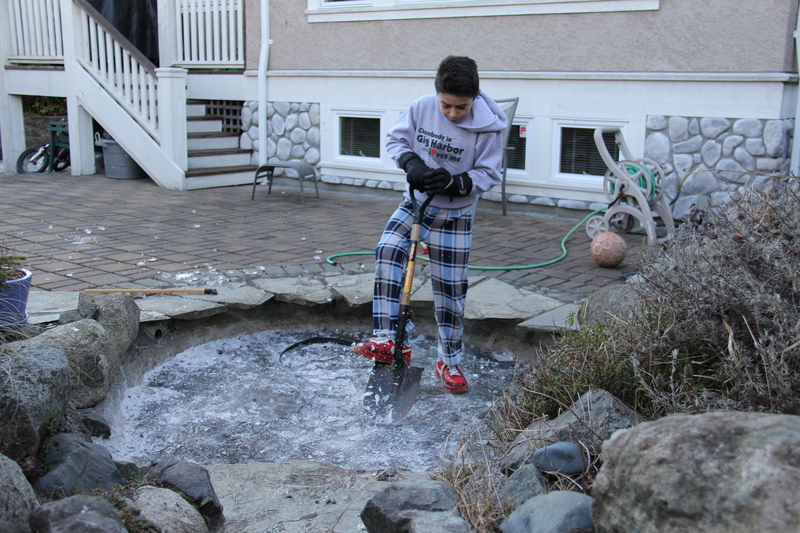 Yesterday I could jump as high as I could and then I would try to break the pond but…….it didn’t work. I had a dream that I was jumping and I fell into the pond. Pretty deep. No fish raccoons eat them.